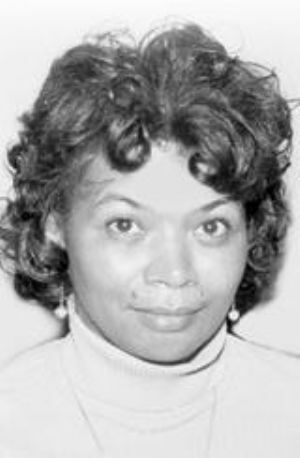 WASHINGTON, D.C. — Dolores Anne Gates Thomas, of Washington, D.C., formerly of Cumberland, died July 18, 2011. She was born in Cumberland on Aug. 6, 1932, to parents Edward and Genevieve Gates. She spent her childhood growing up on Greene Street, surrounded by many loving friends and relatives. Dolores attended Carver High School in Cumberland, and went on to graduate from Bowie State University with a degree in Education. While attending Bowie State she met, fell in love with, and married her husband of 45 years, Harrison “Mickey” Thomas. Dolores, also known affectionately as “Dee Dee” or “Annie,” was a life-long educator. She taught elementary school in Prince Georges County for 37 years. She also taught Sunday School at Our Saviour Episcopal Church for many years. Dolores was a devout Episcopalian, and she always spoke fondly of St. Phillips, her home parish. After moving to Washington, D.C., she joined the Our Saviour Brookland congregation, and she remained a faithful member for over 50 years until her death. She also maintained a close connection with the Holy Cross Church in Cumberland. Dolores was a family historian. She was interviewed by her first cousin Dr. Henry Louis Gates Jr., and she appeared in his documentary “African-American Lives” which aired nationally on PBS. But most of all, Dolores was a devoted wife and wonderful mother. Her greatest joy was spending time with her children and grandchildren. Dolores is survived by her husband; two sons, Wendell and Sidney; a daughter-in-law, Danielle; and three grandchildren, Shawn, Sydney, and Clayton. She will also be remembered by countless other friends and family members who were blessed to know her. “Dee Dee” touched the lives of so many people with her smile and generosity, and she maintained her trademark sense of humor all the way to the end. Please join us on Saturday, Oct. 29, for a memorial service to celebrate the life of Dolores Anne. The service will take place at the Emmanuel Episcopal Church, 16 Washington St., beginning at noon. Family and friends will be received in the Emmanuel Parish hall after the service.